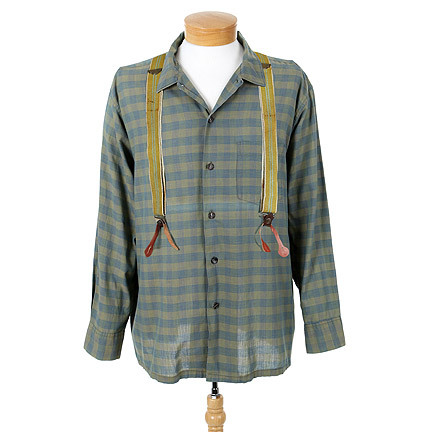 This signature costume was worn by “Fred Sanford” portrayed by actor Redd Foxx in the television series “Sanford and Son”. 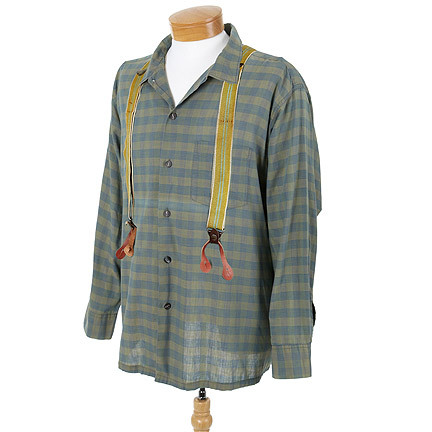 The vintage 1950’s blue plaid work shirt with internal Oscar Chaum Designer Clothes, Studio City, California, green suspenders with two blue stripes and leather frogs, and a herringbone wool apple size 71/4 made by Stetson. 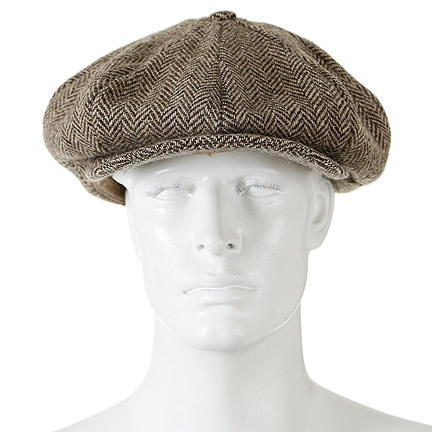 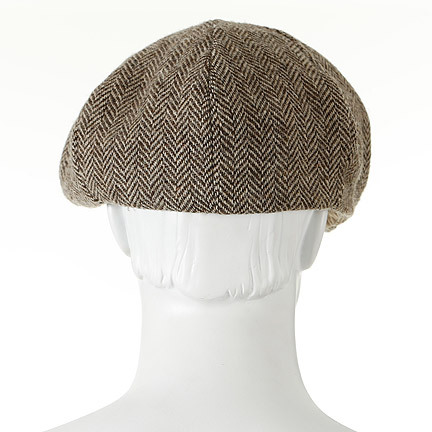 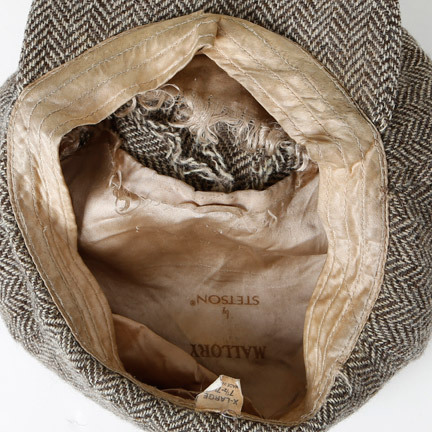 The internal silk lining of the cap is deteriorating, the original leather suspenders frogs have been replaced and all three garments have normal wear due to age and use on subsequent productions. 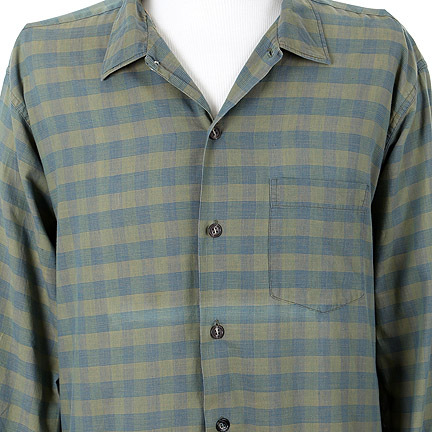 There was only one vintage blue plaid shirt worn by Fred and the faded vertical stripe woven into the fabric screen matches in all episodes. 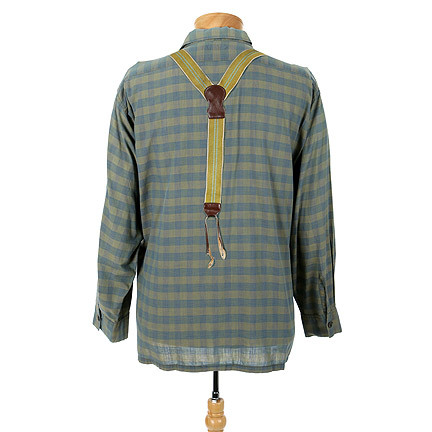 The stripe was a factory flaw and was also visible in the red version of this garment. 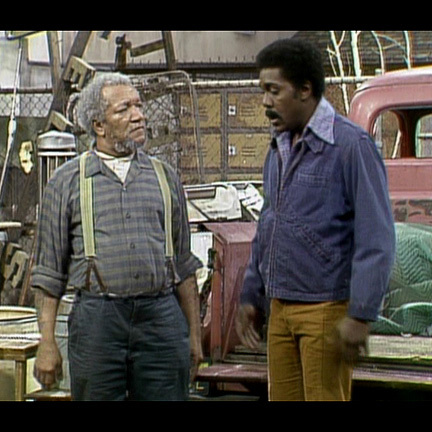 These garments were prominently worn by Mr. Foxx in numerous episodes throughout the series and was a part of Fred Sanford’s signature look. 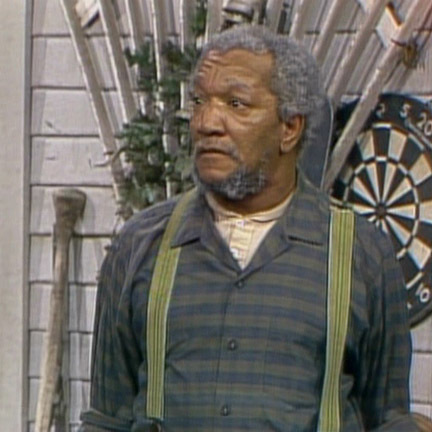 The shirt and suspenders were worn in “Fred Sanford, Legal Eagle” (Season 3 Episode 15) when Lamont gets a traffic ticket, Fred convinces him to fight it in court. 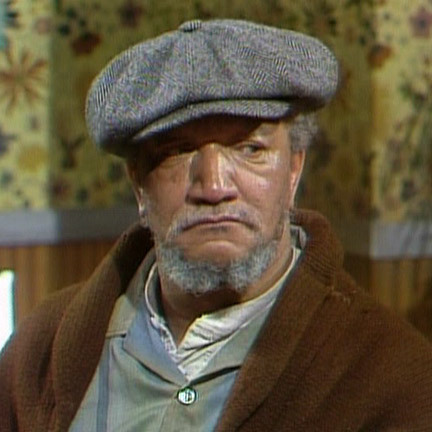 The shirt was worn in “Lamont, is that you?” (Season 3 Episode 6), “This Land is Whose Land?” (Season 3 Episode 16), “The Members of the Wedding” (Season 3 Episode 9), and “A House is not a Pool Room” (Season 3 Episode 11). 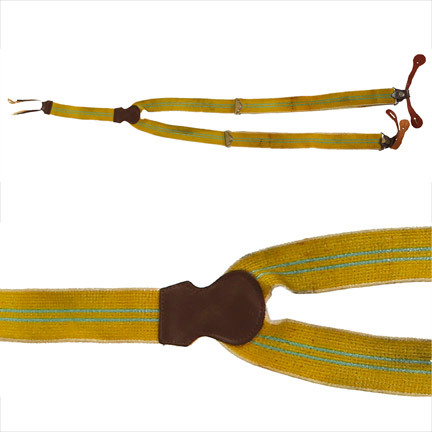 The suspenders were worn in “We Were Robbed” (Season 1 Episode 6), “By the Numbers” (Season 2 Episode 1) and “Grady, the Star Boarder” (Season 3 Episode 12). 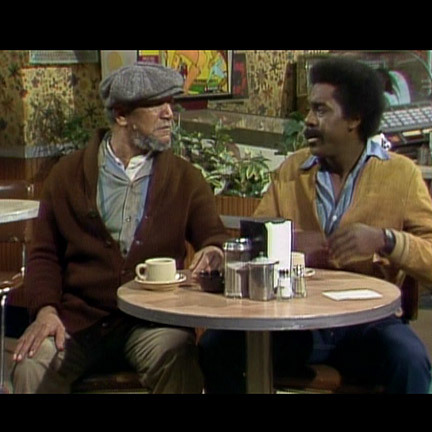 The hat was worn in “Crossed Swords” (Season 1 Episode 1) when Lamont buys a figurine for $15 and after having it appraised he and Fred decide to sell it at an auction, and in “Copper Caper” (Season 1 Episode 4).